Special clinical interests in non invasive cardiac imaging, and invasive cardiac imaging (Cath). Dr Julie Humphries completed an Advanced Echocardiography Fellowship at the Mayo Clinic. She has a particular interest in heart failure, with a focus on diastolic heart failure. Dr Humphries has expertise in the management of hypertrophic cardiomyopathy, diseases of the ascending aorta including Marfan syndrome and bicuspid aortic valve aortopathy, and common adult congenital heart diseases, such as bicuspid aortic valve, mitral valve prolapse, ASD and Ebsteins anomaly. She is locally and internationally recognised for specialist imaging in LAA appendage occlusion procedures and is involved in the structural heart program at The Prince Charles Hospital. Dr Humphries completed her cardiology training at The Prince Charles Hospital before heading to the USA. She initially trained as an exercise physiologist, has an extensive background in cardiovascular disease and was once the Director of the Wesley Hospital’s cardiac rehabilitation program. 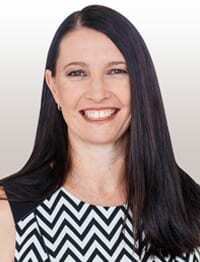 Dr Humphries practices at Greenslopes Private Hospital, and does consulting work at Maryborough and Hervey Bay. She also visits The Prince Charles Hospital on a sessional basis.